a seamless solution to weatherproof your home, CAFE OR OUTDOOR ENTERTAINMENT VENUES. VISION DECOR STOCK A LARGE RANGE OF PVC AND FABRIC CAFE BLINDS. KEEP YOUR HOME OR RESTAURANT WARM AND DRY ALL YEAR ROUND. TIMELESS OUTDOOR BLINDS TO SUIT ALL LIFESTYLES. 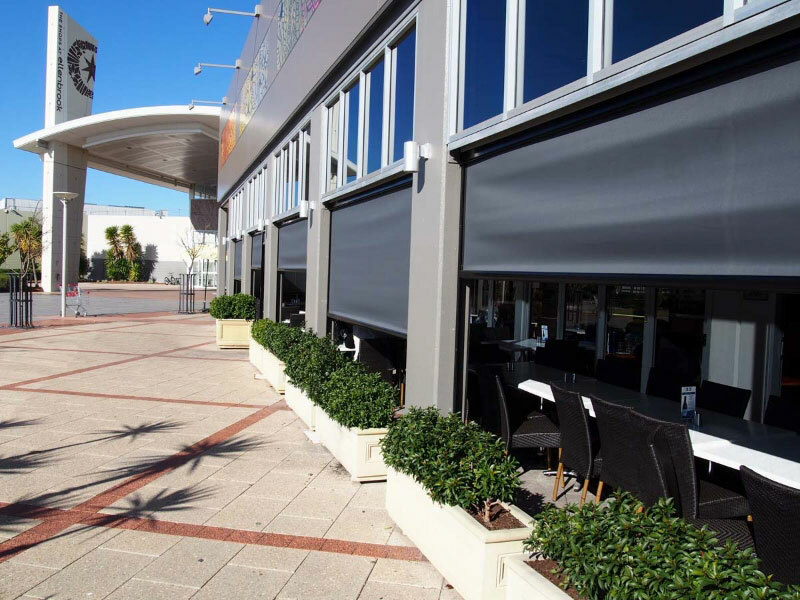 Cafe blinds are the perfect solution for keeping rain and harsh sun rays out of your home or business’s outdoor area. Choose from our extensive range of durable and cost-effective options that can stand alone or complement existing windows. Available in a variety of materials to suit your needs and style, cafe and bistro blinds from Vision Decor are locally built in our Perth factory, so you can rest assured that quality comes first. Not sure if cafe blinds are the right choice for you? Our helpful team will help you decide which blinds are the best fit for your project and budget. There is a range of cafe blinds in many colours to choose from – just inform us of your specific design needs and we can advise you on the best blinds solution for your budget and style. Cafe blinds from Vision Decor are available in manual or automatic versions and with or without ropes, straps or buckles. All clear PVC blinds are fitted with an additional child safe feature. Versatile and incredibly easy to operate, pocket cafe blinds can come with or without zips. If you are on a budget but want a high quality solution, don’t turn a blind eye to these blinds. Pocket blinds are available in PVC or tinted mesh, and come in any colour you desire. Choose a colour to compliment your existing colour palate or go for an invisible blind to blend in seamlessly. Zip-free pocket blinds have no side retentions and are operated with a rope and pulley system with a buckle to strap the blinds to the ground with belts. Pocket blinds with zips have the same operation as zipless pocket blinds but with side retention or tracks which are installed on walls for sturdiness. Rope & Pulleys with premium locking base rails. Add an element of minimalist charm to your space with these easy to operate, robust blinds. 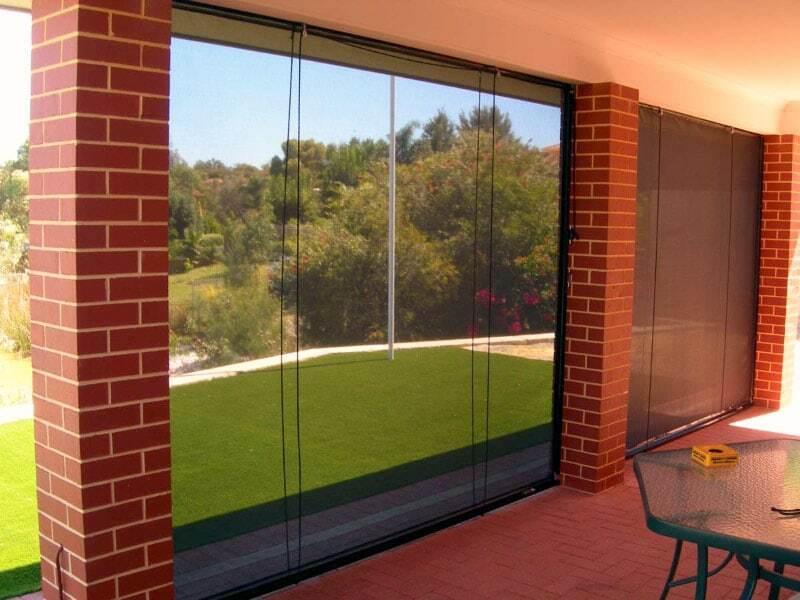 With a simple system that locks at the base, these blinds offer protection from the wind, UV rays, and the harsh Australian elements. Another great cost-effective option, channel blinds are set up with channels on both sides and the fabric or PVC blinds sitting inside these channels. They are easily operated by crank roller and can go up and down with ease, allowing you to stop at the length of your choice. If you are looking for a sleek new design without any strings or ropes, Ziptrak is the right choice for you. Ziptrak blinds seamlessly integrate with your building or patio so when you’re not using them they stay neatly tucked out of sight. These blinds feature automatic operation. All Ziptrak blinds are Australian made to stand strong against Australian weather. wHERE TO USE CAFE BLINDS? Cafe blinds aren’t limited to commercial or residential use. Vision offers free in-home measures and quotes. Our helpful team will explain our products further so you know exactly what you are buying. We are committed to customer satisfaction and we’ll make sure your expectations meet reality. If you already know what you are after, we can easily customise your blinds to order. 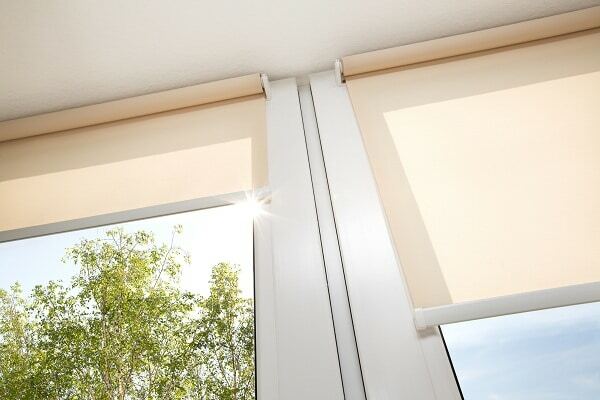 If you would like a second opinion, our knowledgeable team will provides tailor-made advice on the type of blind that is best suited for your needs and budget. Are you looking to install or upgrade your outdoor area with fabric, clear PVC or mesh cafe blinds? We offer free measure and quote consultations. Our helpful consultants will guide you through the design process to choose the best solution to suit your space and fit your budget. We custom make most of our products onsite at our blinds factory in Perth. An experienced fitter will measure and create custom blinds for your home or business.